“Behold, the Lamb! Behold the Lamb! Behold. Stop what you’re doing and pay attention. I’ve got something important to tell you. Wow. I think I like this word A. Lot. Why don’t we use it more often? OH. YES! GOOD. TIDINGS. OF. GREAT. JOY. I don’t know about you, but this is a behold-moment. Who doesn’t need some tidings of great joy these days?!? Me!! I do! I do! I think the shepherds needed it more than just about anybody. They were considered the lowest class of society, living virtually all alone out in the open fields. They used rocks as pillows. They had the b-a-a-h’s of sheep to keep them company by day and the twinkle of stars at night. They had no money. No home. No hope. I’m seriously having a stop-and-pay-attention-moment right now. Because the news that a Savior was born in the town of David is bigger than just about any news I’ve ever heard. EVER. I think John the Baptist needed this moment more than just about anybody. He lived out in the desert wearing camel’s hair. He ate locusts. He had no money. No home. 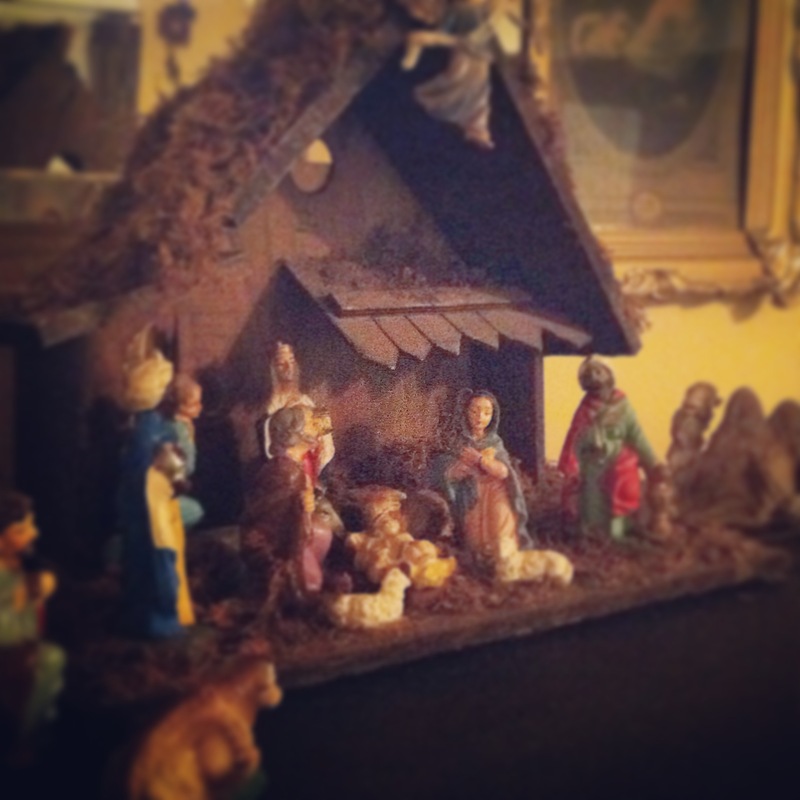 BUT…he had something the shepherds didn’t…John had hope. His whole purpose in life was to prepare the way for Jesus. His whole message was one of calling the people to Behold. John and Jesus were cousins so he knew Jesus was the long-awaited Messiah. He believed it so much that he preached like a hell-fire-and-brimstone-preacher-with-no-time-to-waste and people flocked to hear him proclaim this good news. Because, you know? People need hope. People will always need hope. Like the angels who brought good news to the shepherds out in the fields, John’s message was one of good tidings. A message for all people. For the shepherds of this world. For the John’s. For me. Behold! The Lamb of God! You can’t have one without the other. They are the same. Savior. Lamb. And I am just so full of GREAT JOY that I can hardly stand it. I’m having a behold-moment right here at my computer. I need to hear the good tidings of God made into flesh. I need to hear that the Son of God was born to a humble girl of meager means. I need to know that Joseph loved Mary and the baby within her conceived of the Spirit enough to risk his own reputation and good name for the sake of God’s good name. I need to know that Jesus wasn’t born in a palace but a stable and laid in a feeding trough for a bed. I need to know the angels announced Jesus’ birth not to the rich, the powerful, and the elite but to the poor, the weak, the common. I need to know that Jesus was baptized, not because He ever sinned, but because He wanted to be obedient to His Father. I need to know that Jesus gave His life for me, the spotless Lamb of God. He died a cruel death at the hands of heartless men, was buried in a tomb made out of rock, and BEHOLD! He was resurrected and now sits at the right hand of the Father and for those who call upon His name He gives eternal life. BEHOLD! I bring you good tidings of great joy. A baby born. A Lamb slain. A Savior lives. And because He does, so does hope. There are no better tidings than this in all the world. Please…stop what you’re doing and pay attention! The shepherds did. Author gracedtolivePosted on December 21, 2015 December 23, 2015 Tags birth of Christ, Christ is born, good news, good tidings of great joy, joy to the world, pay attention to what I tell youLeave a comment on Behold!